Roger McCollister is highly respected and well known for his work helping low-income people receive legal representation and public benefits. 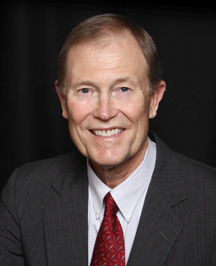 Roger graduated from Washburn University Law School in 1970 and served as Director of the Legal Aid Society of Topeka, Kansas from 1972 to 1978. In 1978, Roger established Kansas Legal Services, a statewide non-profit corporation, dedicated to helping low-income Kansans with legal, mediation and employment training services. 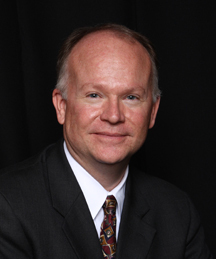 In 1989, Roger founded The Midland Group (read about our history) and served as President and CEO until 2006, when he stepped down from his position as Executive Director of Kansas Legal Services to focus on The Midland Group full time. Roger has received numerous awards including Service to Mankind Award, El Centro De Servicios Para Hispanos, Kansas City, Kansas, in 1981; Washburn University Law School Alumni of the Year in 1986; and the Kansas Bar Association Outstanding Service Award in 2007. When Roger is not working, he can be seen touring the country on his Harley-Davidson V-Rod.